What is SaaS or Software-as-a-Service? 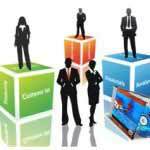 We often have come across this term named, SaaS or Software-as-a-Service. We also know that it is a branch in cloud computing that offers customers the privilege of working on software applications without actually purchasing them or installing them on their computer systems. However, apart from this, how exactly SaaS becomes a significant cloud branch is a matter to be discussed and lay emphasis upon. In yet simple language, SaaS offers users a facility to rent or hire expensive software applications in order to cut down their infrastructural costs and make their daily tasks easy to run. Software-as-a-Service or SaaS providers help businesses deploy software applications, which they can access from anywhere and at any hour across the globe. The prime idea behind incorporating SaaS environment is to carry out computing process through a centralized software that does all the work. They function with a view so that the file saving, data storing or working for any application is done through the world wide web. Suppose a XYZ company plans to purchase a popular software application like MS Word for a certain amount, it will prove to be expensive for it as the user/users will be confined to only specific machines to access it and also would have to maintain it. In such a case when things can turn into a mess, how would it be if something more competitive is incorporated in the existing infrastructure of the company. Surely, it would be advantageous for it. Therefore, renting a software application from a SaaS cloud service provider will be beneficial that is not just affordable and brings down the costs largely, but also gives users the benefit of accessing it from anywhere and at any point of time. Besides all this, with SaaS it is not required to get confined to a single desktop, you can access your data from en-number of virtual desktops that may be present in the form of tablets or mobile phones etc. A recently started salon is looking for a unique and user-friendly billing and attendance system, which can keep a track of their daily transactions and the attendance of the employees. Initially, the salon decided to get their billing software designed by some software professional company in order to get things done smoothly. However, sooner they realized that getting a software developed especially for their daily activities will exceed their budgets. So, what would have been a better solution for the salon to overcome the problem. Availing SaaS managed cloud services can be extremely beneficial. Not only will it store data related to daily transaction at a virtual server space, which the owner or the authorized parties of the salon can access from anywhere and at any point of time, but it would also prove to be cost effective as you would just have to pay an affordable amount every month for it. 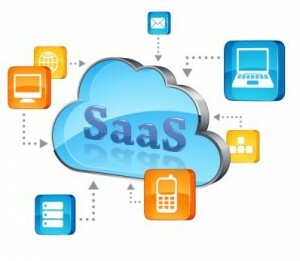 When SaaS combines with PaaS Cloud, it forms the basic model of cloud computing. Moreover, SaaS, the software professionals don’t really have to manage or control tedious coding involved in the software applications. All they require to do is resolve the troubleshooting at the server level and get things sorted out. Seems to be extremely cost effective as no extra hardware and software is involved in it. It is the managed cloud service provider offering SaaS services that does the entire job of managing the application. Biggest disadvantage of SaaS, which is a part of cloud computing is the safety and security of the data. There can be chances that the service provider comes out to be a fraud. Therefore, before availing such services, a thorough research is required so that your confidential assets in the form or data or any other information doesn’t leak. Large organizations should keep a track of such service provider in order to prevent falling prey in their hands. Follow us on Facebook and Twitter to remain updated with all the everything on Cloud Computing Services.